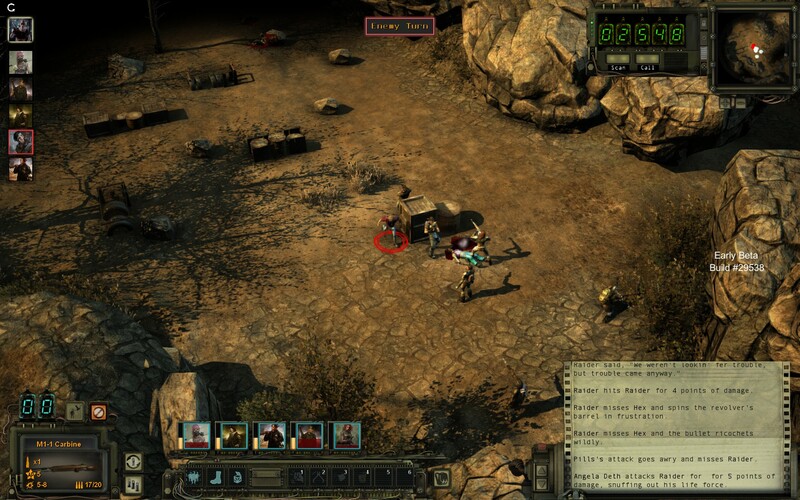 There used to be a time when the term RPG did not conjure thoughts of being Bioware’s betrayal, Obsidian’s bugs, or Bethesda’s rapidly declining complexity. Before that, the term would bring to mind stories with creative depth, the ability to change the world around you in meaningful and interesting ways without being hand-held all the way through and systems so complex that you needed the freaking paperback manual to wrap your head around them. Sure, they were all wrapped up in terrible UIs and dodgy controls, but it was the 80’s and 90’s, so we didn’t know much better back then. 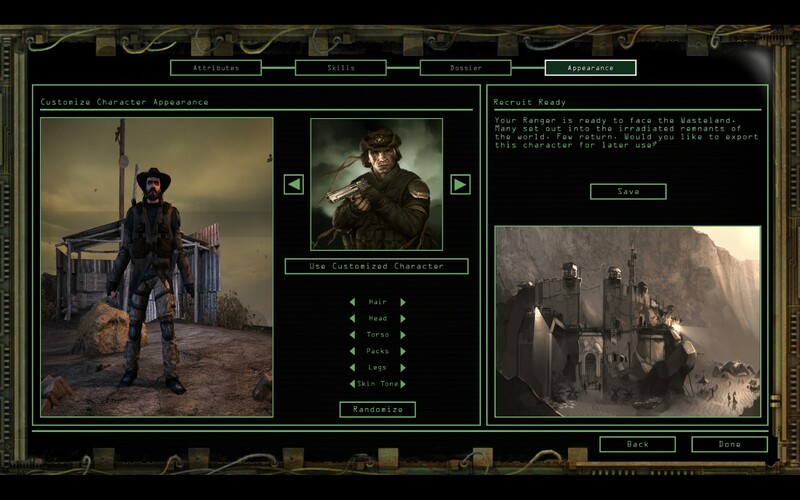 Right at the end of the 1980’s, the company called Interplay developed, and another company called EA released a game called Wasteland. 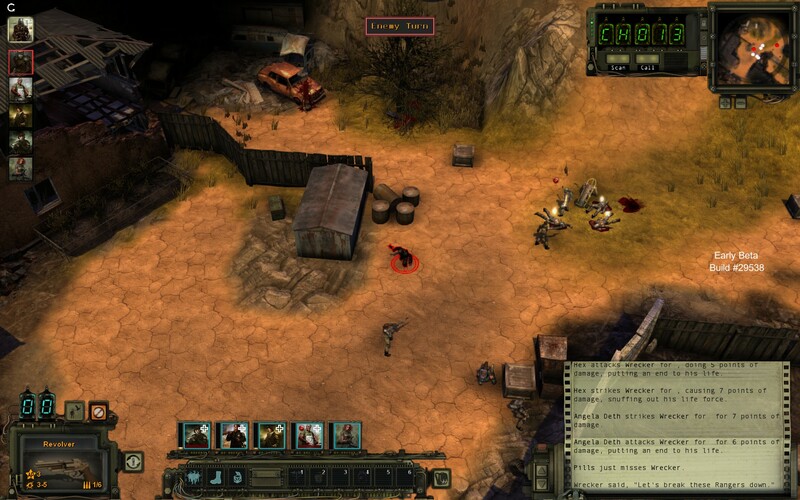 The game took the world by storm, served as a major influence on the Fallout games, and to this day is listed as one of the ‘best games of all time’ for a number of games media outlets. Sadly, any plans for a sequel were squashed. 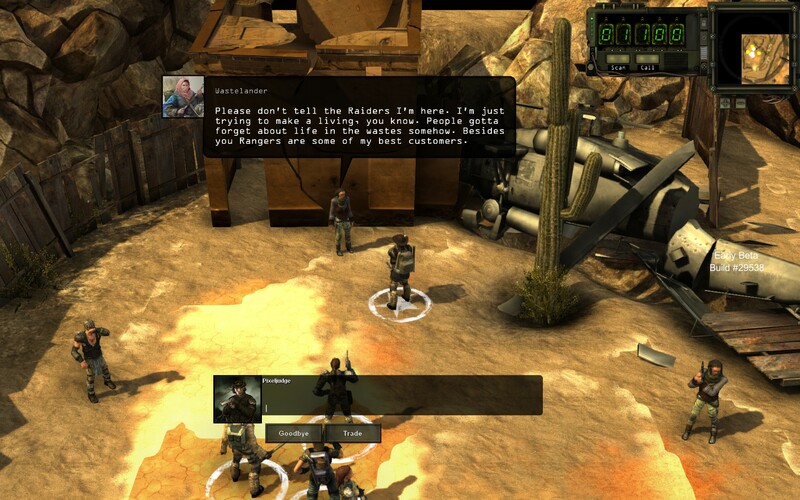 Interplay moved on, and publisher EA seemed to be uninterested in continuing the franchise on their own. Twenty-five years on, and the times have changed. 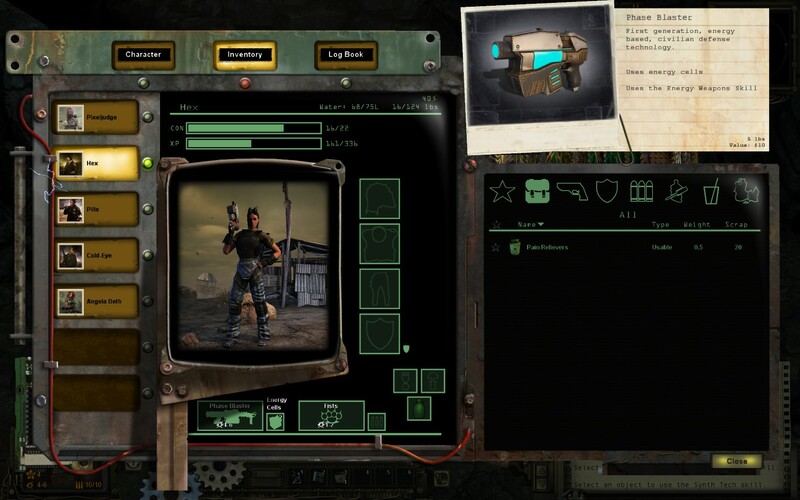 InXile, a new company founded by old Interplay’s Brian Fargo, secured the rights for Wasteland, and successfully crowd-funded its long awaited sequel. It’s currently available as a paid beta, and while the developers still have a lot to sort out, there is a ton to like already. Those raiders really did a number on those townies. 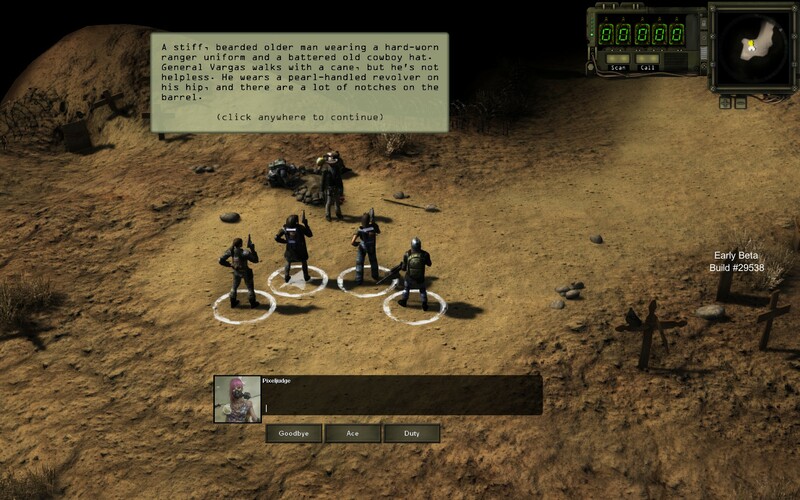 Picking up a couple of decades after the original, Wasteland 2 sees you take a group of four rookie Desert Rangers on a mission that already claimed the life of a ranger named Ace, one of the characters you pick up in the first game and one of the longest surviving members of that original team, to find out what killed him if possible. 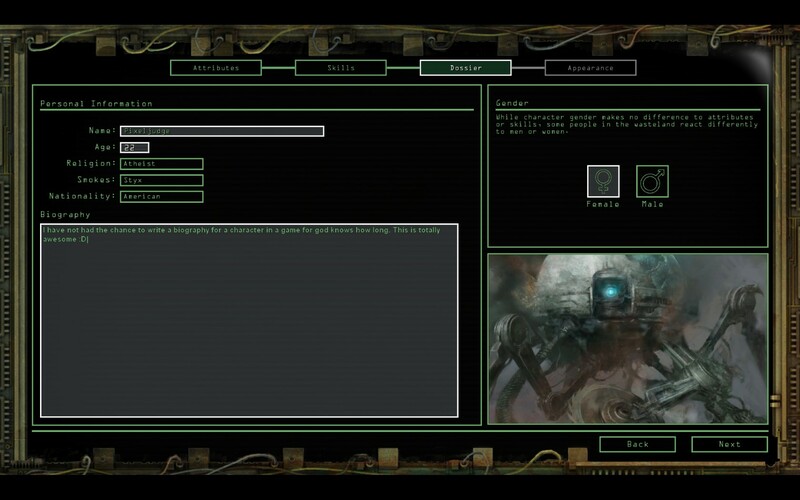 Only about a third of the story is currently implemented, so final resolutions and further mysteries are yet to be revealed. 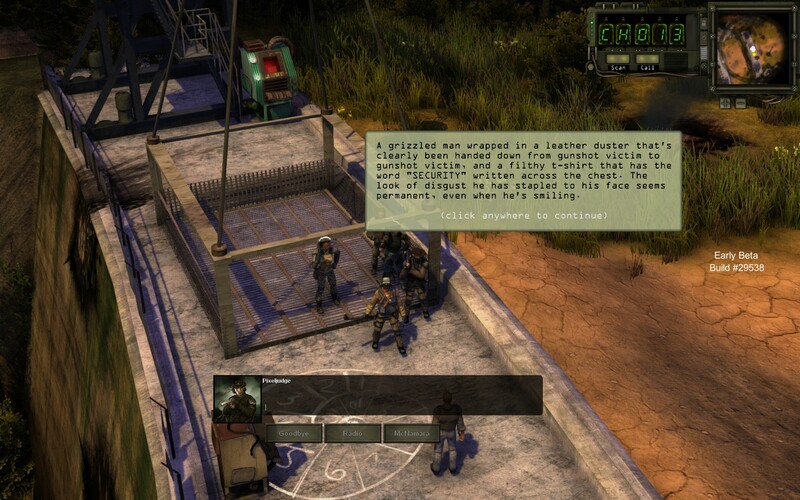 But, what is there, gives a lot of hope about InXile writing team's ability to craft a compelling story that you want to play through to the very end - something followers of both this game and the new Torment had been worrying about. 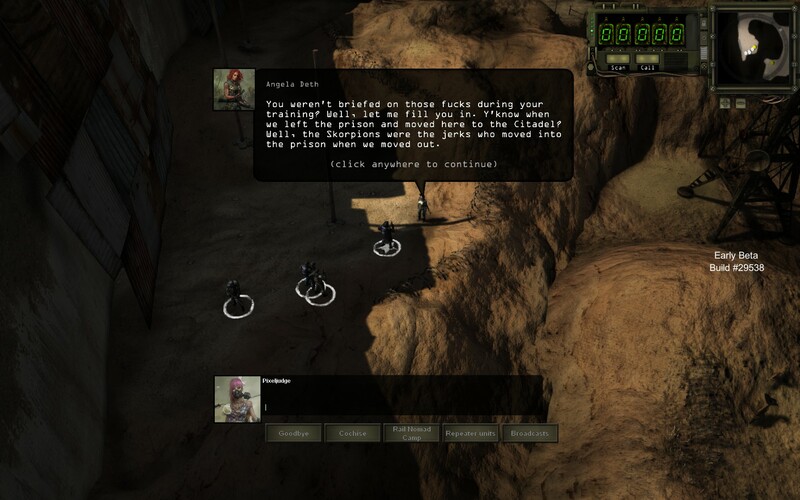 Wasteland 2 controls much like most RPGs of old. 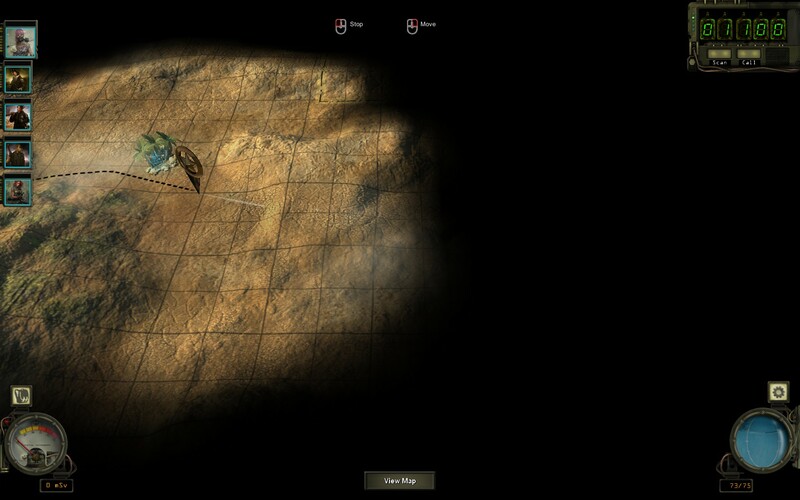 You have the top down perspective, right click to move, left click to interact, a separate button on the UI that you need to click before you can free attack, and more. 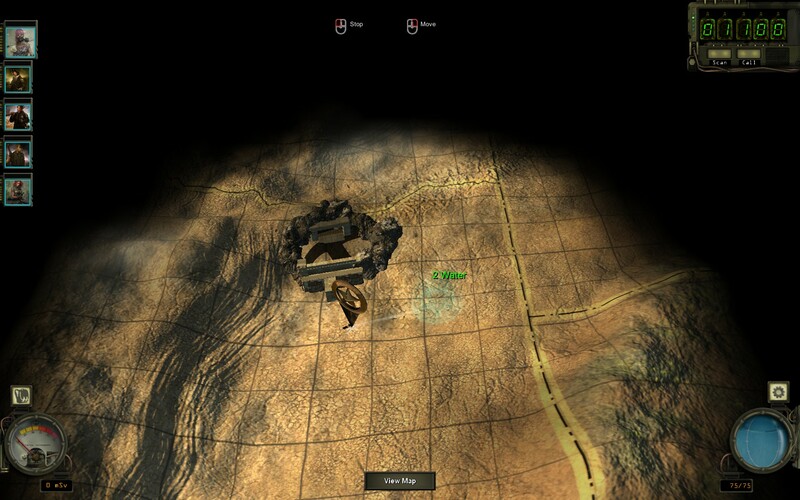 There are a few welcome additions to the old formula, however; the ability to zoom (which incidentally changes the perspective), combined with a rotating camera make for a much easier time of getting an overview when combat starts, or for ensuring that you don't miss any hidden caverns or caches while wandering through the wastes. 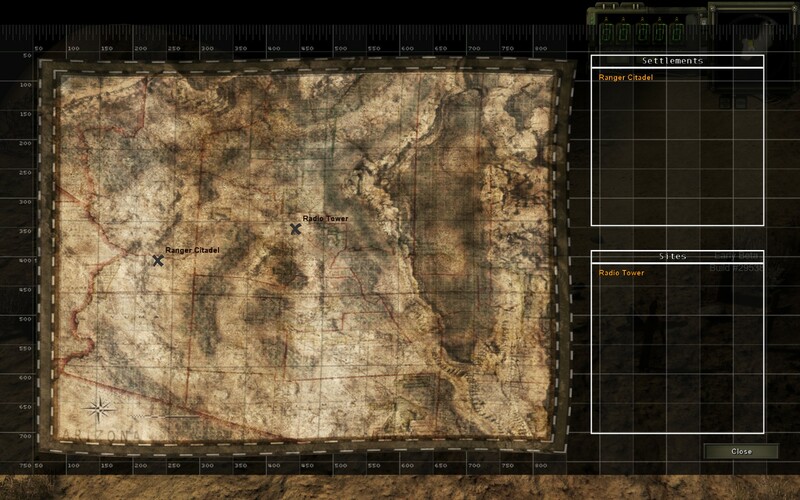 Also making a triumphant return is the map screen, which is used to travel between areas and uses a system where you must ensure that you're always properly stocked on water - traveling from oasis to oasis much like a desert nomad would do. 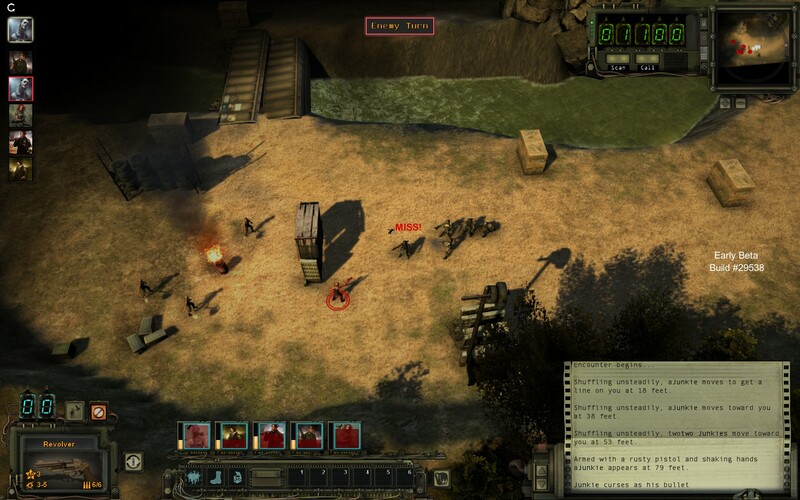 Combat is turn based, with each combatant given a position in the battle order and an amount of action points depending on the levels of certain core attributes. From there it plays tactically, each weapon with a certain range and chance to hit dependent on the wielder’s skill with that weapon class. 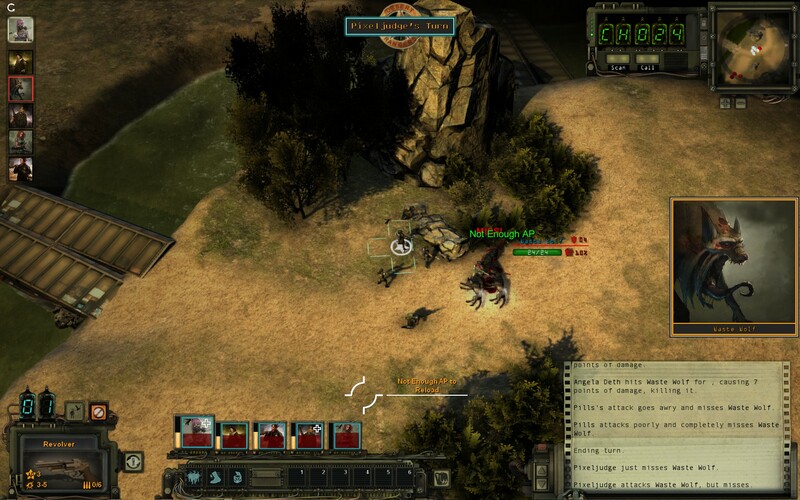 Line of sight and cover add to survivability, and your team is just as squishy as your foes - even if they have a slim chance of revival depending on how much damage the final attack against them did. There are two big frustrations I have with the way combat currently works. 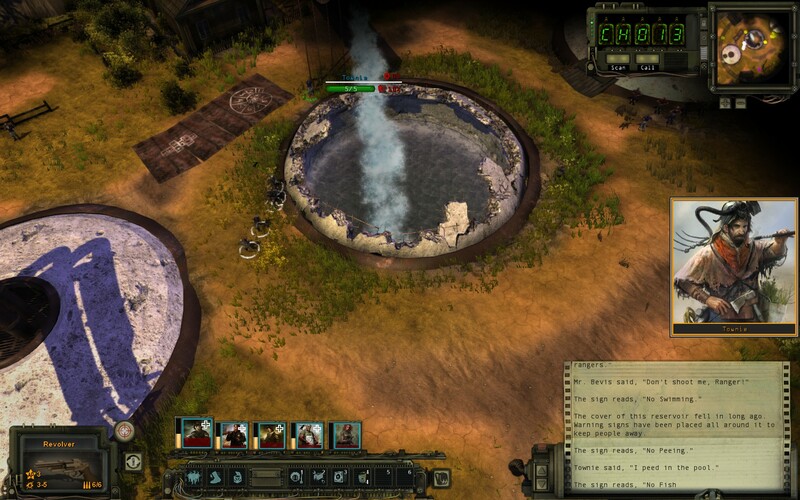 Friendly fire - which has a chance to come into effect whenever one character is firing at a target behind a friendly unit - and the fact that companions that weren't part of your original team will occasionally just shout 'watch how it's done' and take their turn by themselves. 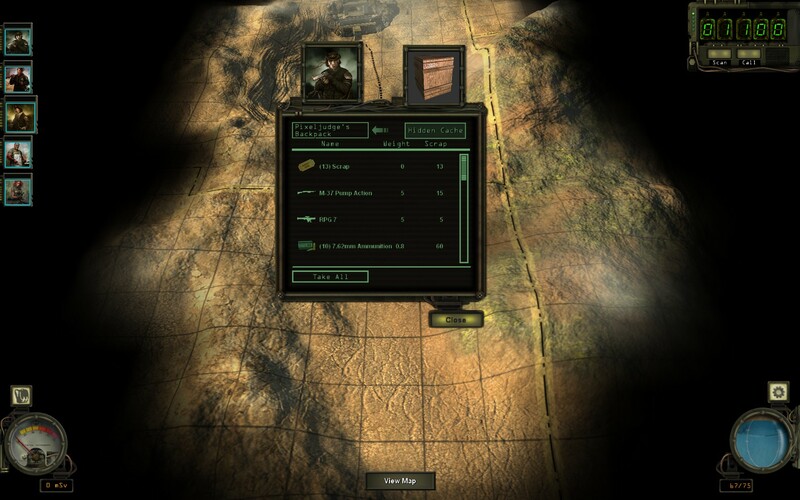 They often end up making the worst tactical decisions the AI can think of, like firing at the enemy rather than advancing for a better shot. 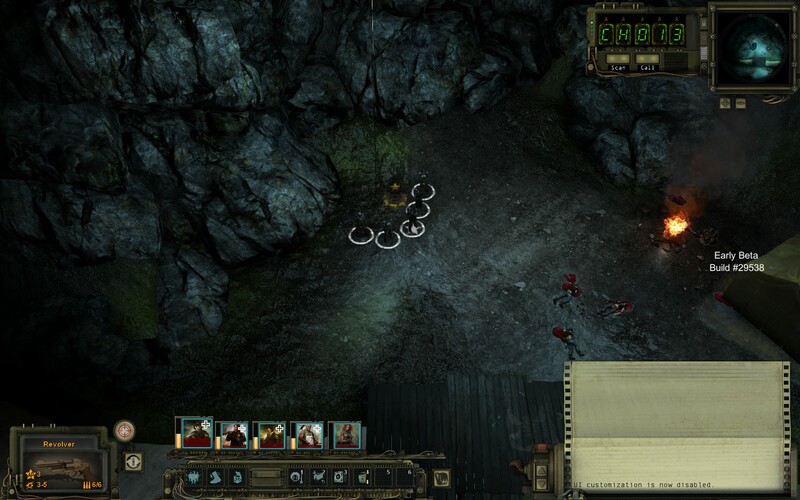 It is especially frustrating when these two elements are combined, and one of your companions get shot in the back because of the stupid decisions of a teammate. PLENTY skills to choose from. 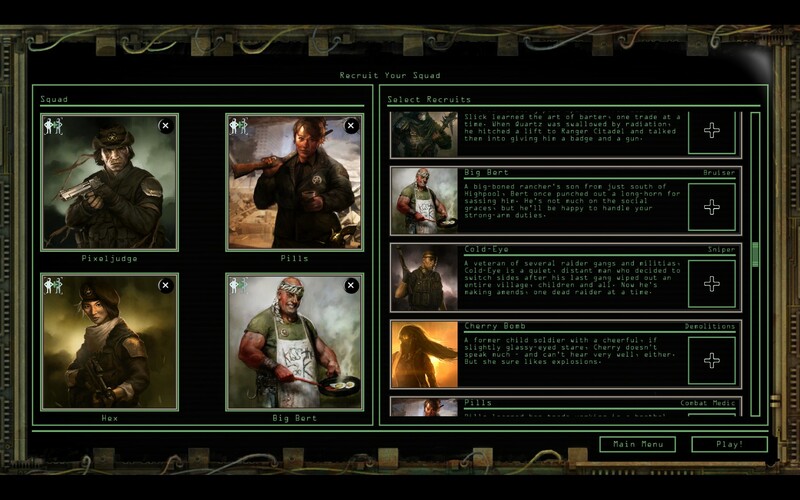 The level of character customisation is a refreshing sight to see. There is a vast variety of skills, some of which are listed but are not yet implemented. If you're used to the kind of RPGs where you end up as a master of everything, you're in for a shock, as the relative difficulty involved in getting skills to truly useful levels encourages specialisation across your team. 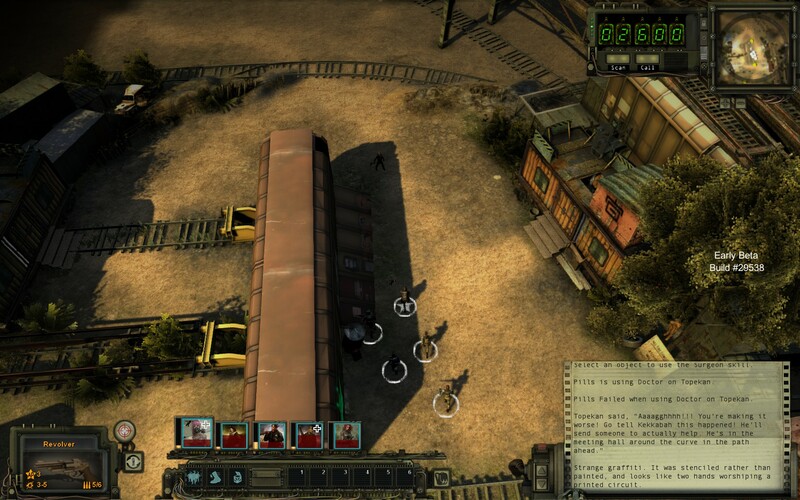 Even then you'll be relying on the people you pick up as you travel the wastes to fill the gaps in your skill set. Losing a team member hurts, since it means that you lose that member’s valuable skillset. 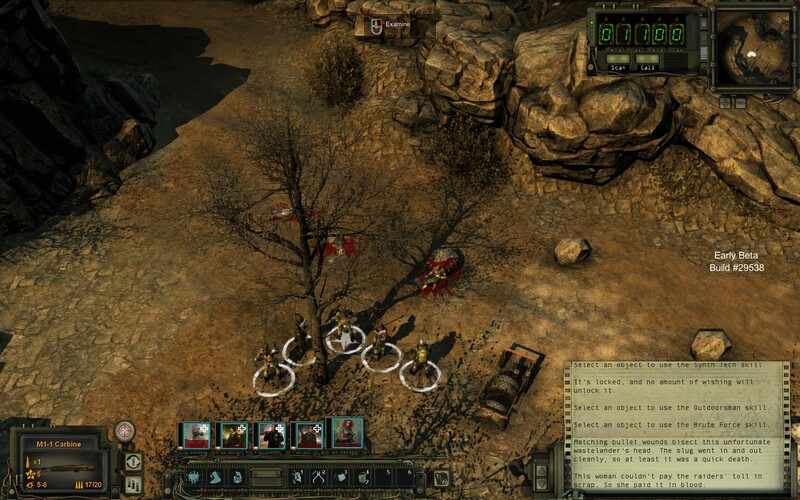 The game does autosave frequently enough so that you shouldn't lose too much progress, if you'd rather attempt to win a fight again without losing any men. There are some bugs to be reckoned with; mostly minor ones like text disappearing, but there are a couple of game breakers as well. There are also reports of performance issues. 32-bit systems are completely incompatible, as they cannot supply enough memory to load the overworld map, resulting in either a crash or an infinite loading screen. 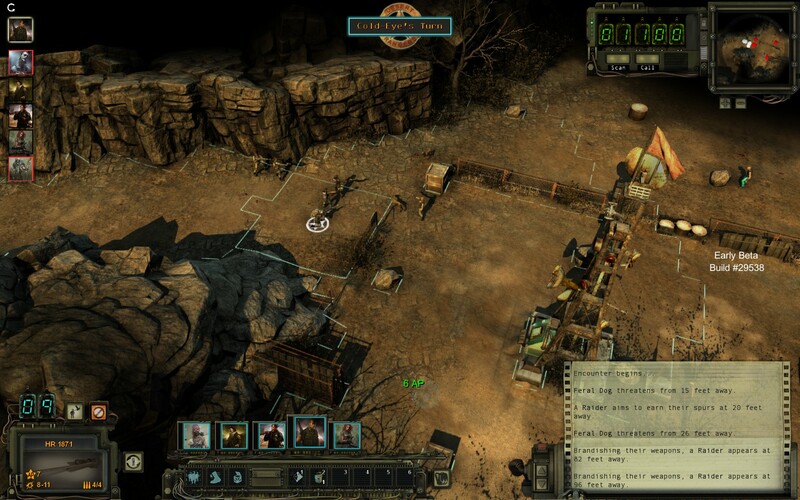 However, given that InXile is absolutely brilliant at both communicating with their beta testers and getting patches out, I don't doubt that Wasteland 2 will be as close to bug free as it can get can get by the time it sees a full release. 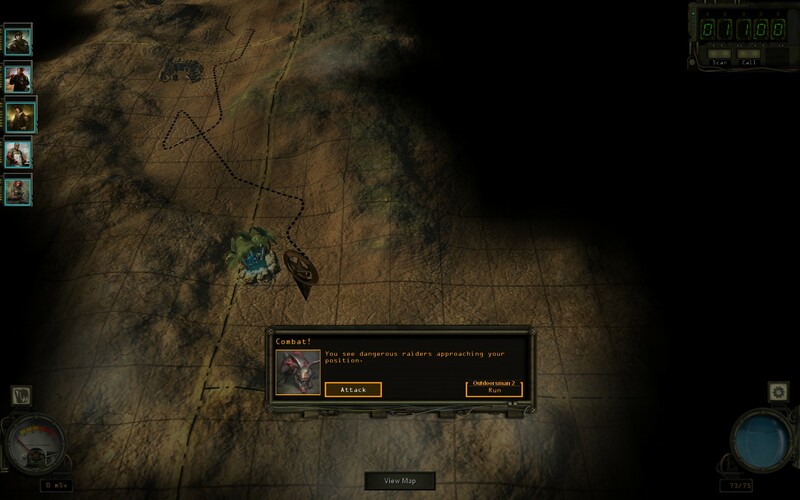 That’s a big desert. Bring a lot of water. 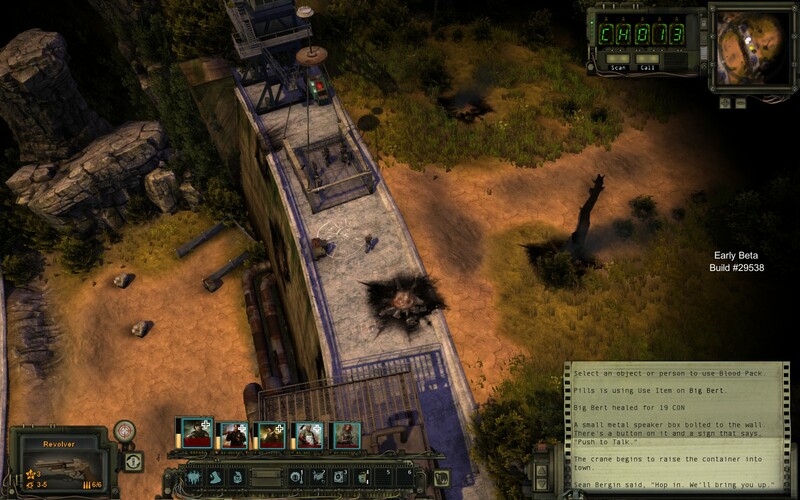 Combining the old school point of view and control scheme with more modern graphics and art design, Wasteland 2 looks amazing. Character models look as good up close as they do at a distance, and the variety of customisation options at character creation helps to avoid confusion between the characters you've created and those you encounter in your travels. The environment design is as beautiful as you can expect from a game set after the apocalypse - and even then some areas will surprise you. I sincerely hope that Bethesda's art team is taking notes, because it leaves their latest efforts looking like a dead wasteland in comparison. The level design is superb, and contains quite a few tricks and traps that, unlike quite a few games I've played, feel fair. There was always an element of 'you should have been paying more attention' every time I triggered a plant-based bomb or some other trap, since every one of them could have been avoided if I rotated the camera before moving, or paid more attention to what was going on around me. The UI’s design could be tweaked to make it a bit more intuitive, and there are a few problems with text scaling on higher resolutions, but those are things that the devs are still working to improve. 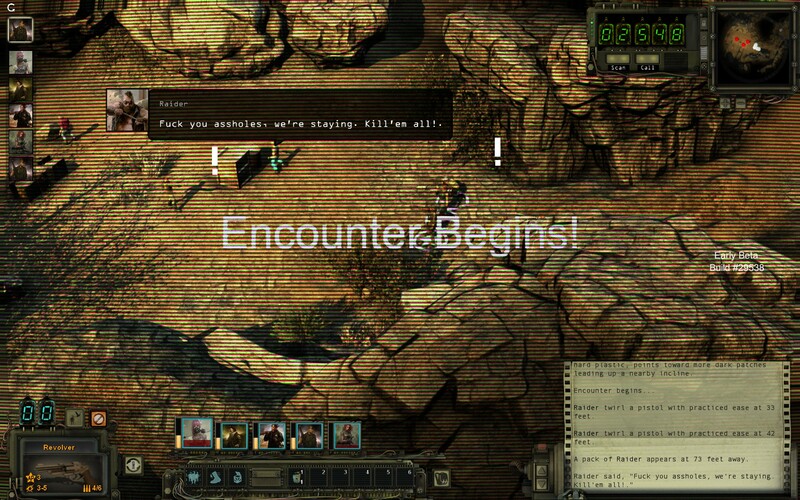 On the whole, Wasteland 2 is shaping up to be the prettiest isometric RPG I've played. 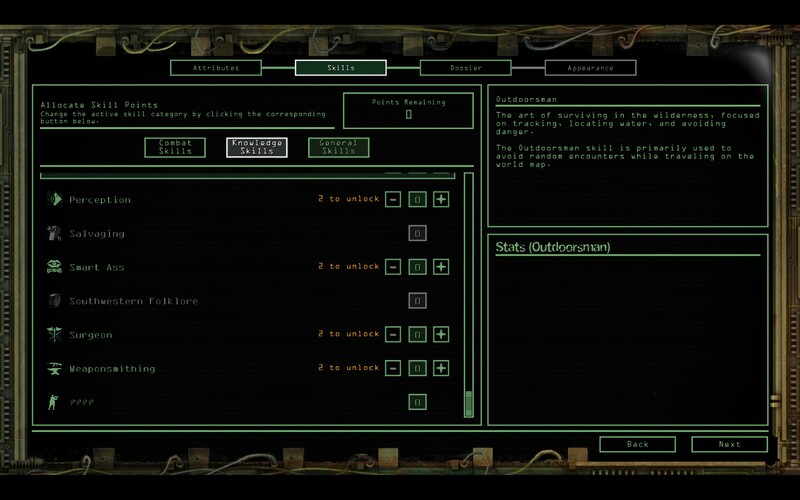 Having never played the original Wasteland, and only having spent a few short blocks of time failing spectacularly at most old style RPGs that followed it, I approached Wasteland 2 with trepidation. 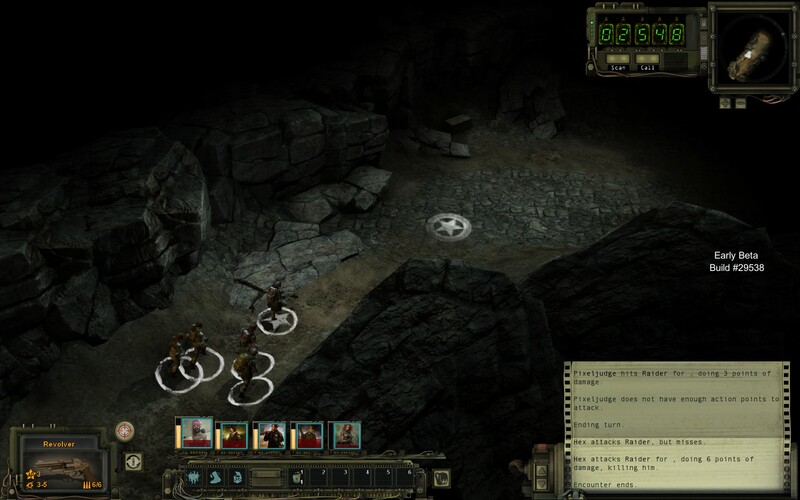 Fortunately, it looks like InXile is aiming to, and has so far succeeded in, striking a balance between the complex systems of old and the technical advances of the modern gaming era. I found myself pulled into the world within the first twenty minutes of play, before I’d even left the first location, by the rich history presented by the older characters you interact with. 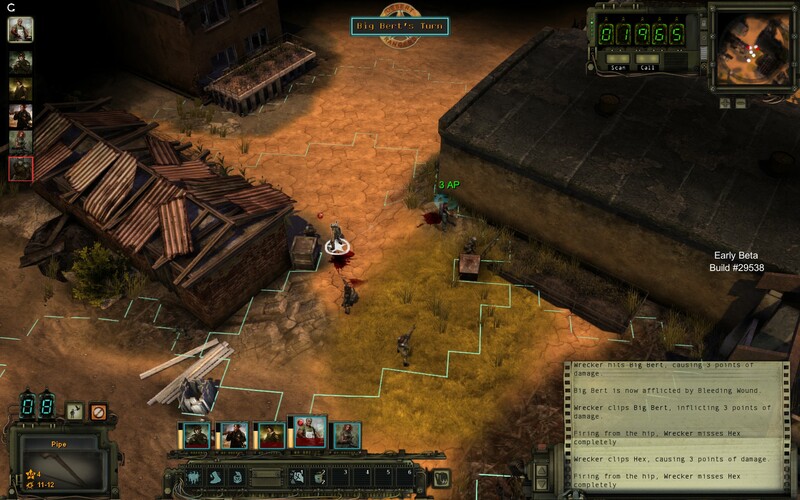 If you've been yearning for more than today's average RPG experience, then I would recommend skipping the ‘keep an eye on' stage and just buy into the Beta, despite the current cost. 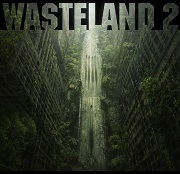 « Wasteland 2 Footage Emerges from the Dust« No Wasting in Wasteland 2« Wastelandishly Successful Crowd-Sourcing« Planescape Goes Spiritual... Successor« Wasteland 2 Gameplay Footage - Hell Yeah! Can't wait for this to be done!